Gorgeous home surrounded by million dollar views! 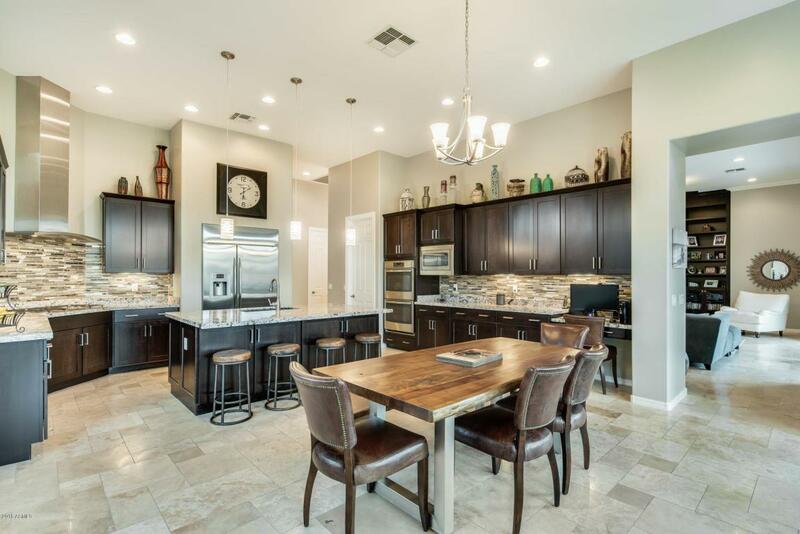 This home is visually stunning from the moment you set foot on the custom paver walkway all the way up to the gated courtyard. 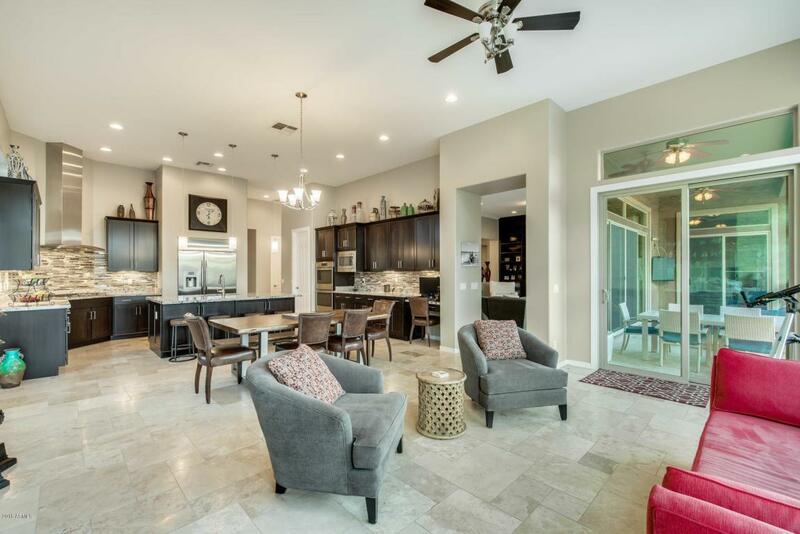 Upon entry of this spacious 4 bedroom, 3.5 bath home you'll find an open great-room floor plan that is perfect for entertaining! Large picture windows at family room and dining room overlooking the extraordinary desert view. 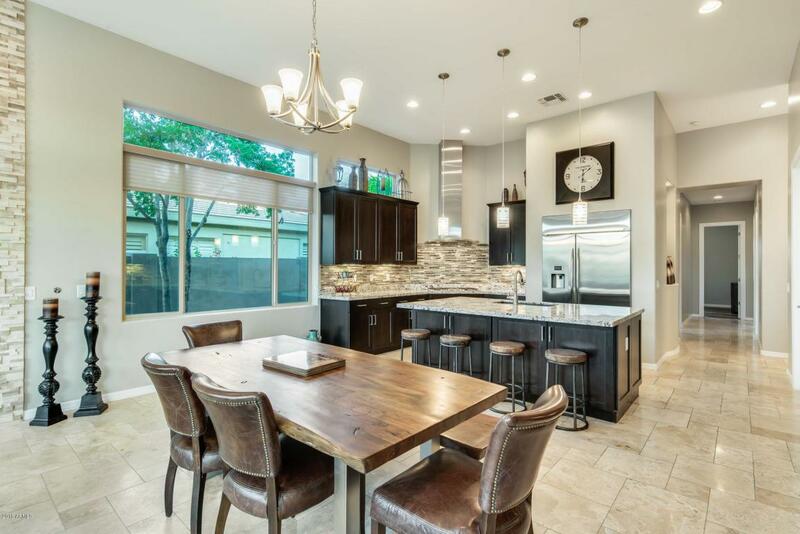 A beautiful chefs style kitchen with espresso cabinets, granite countertops, backsplash and pendant lighting. Not to be missed is the sitting area with stone fireplace and wine bar! 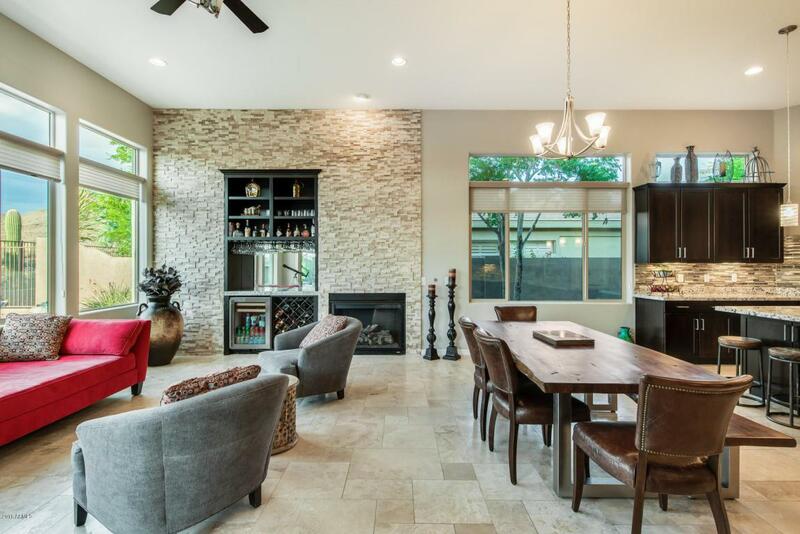 Custom stone accents, ceramic tile and wood flooring compliment the generously sized rooms throughout the home. An exquisite master bedroom with a custom walk-in shower, large closet with built in shelving andpatio access to the backyard! Your outdoor living begins under the large covered patio with tile flooring and dual outdoor ceiling fans. Creative style and personal touch have been added to this backyard retreat that is sure to impress your guests! Enjoy the breathtaking views of the Arizona desert from the sparkling pool! Your new home awaits you, schedule a showing today! !